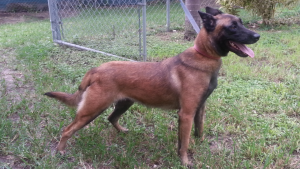 Aila is a European imported Belgian Maliois female from KNPV, working Lines, FCI registered and AKC registered . Aila is a social, confident, thick, strong female. She is line bred on Arrack’s Home Darwin, Quattro and Kukay’s Quattro.